Wear your Race for the Cure T-shirt and get a Ride to the Race for Free! Drop off and pick up downtown will be Erie Street between Jackson and Jefferson Streets. 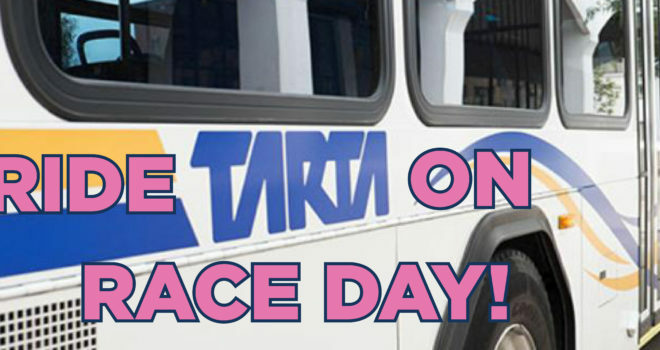 After the race, head back to Erie Street and ride the bus back to your car!